Surrounded by the Mediterranean Sea, we find these beautiful Spanish islands. The Balearic Islands are part of the Balearic archipelago and are formed by the group of islands called the Gimnesias, composed of Mallorca, Menorca, Cabrera and some islets, and the islands Pitiusas that are Ibiza and Formentera, as well as the different islets that surround them, such as Espalmador and Espardell. In addition to its incredible beaches, in the Balearic Islands there are many spots of natural and cultural interest that you can visit. The city of Palma has a beautiful cathedral, in Ciutadella do not forget to visit the old part of Mahón, its port. In Ibiza, the beautiful castle in the old town and, in Formentera, visit the lighthouse and ultimately the whole small island because it is a natural spectacle for your eyes. In summer, the Balearic Islands are very popular amongst both national and international tourist. It is frequent to see huge yachts moored in the ports of its main cities and a great atmosphere in bars, terraces and restaurants. Depending on the type of vacation you are looking for, you will be more satisfied with one island than another or a particular area more than another within the same island. In any case, the Balearic Islands offer an unlimited amount of leisure, relaxation, fun and adventure options for families, couples and groups of friends who want to see the sun rise every night. Some other highlights are Casa Bonet, of modernist style, Church of Santa Maria Del Mar, the oldest temple in the city dating from the eighteenth century. We recommend you also take a walk along Paseo Miramar, visit the Teatro Auditorio and take a picture of the mythical Faro Baleares. The Balearic Islands are a paradise on earth for lovers of the sea, crystal clear water, white sand and relax and party in equal parts. With more than 7905 kilometers of a spectacular coastline, you have to choose. And is that the Balearics hide an entire world of vegetation and nature that delight tourists. The capital of the Balearic Islands lies in the island of Mallorca, although all of them deserve a visit because they all have their particular charm. Caló des Moro: Located in Mallorca, it is undoubtedly one of the most beautiful beaches of the Balearic Islands. However, you must know that it will be crowded in summer, so we recommend you go early in the morning to secure your spot. Cala de Sa Calobra: Also located in Mallorca, this beautiful cove of turquoise waters will leave you speechless. Cala Turqueta: Located in Menorca, this cove is one of the most famous of the area due to its beauty. Cala Macarella: It is also located in Menorca, next to her little sister La Macarelleta, which has beautiful transparent waters and is surrounded by vegetation. An ideal plan to spend a perfect summer day in the Balearic Islands is going to this cove. Playa de Aigües Blanques: This nudist beach is located in Ibiza and is famous not only in the Balearic Islands but also outside Spain. With turquoise waters and fine white sand, it looks like paradise itself. Ses Illetes :This magnificent and unique beach is located in Formentera, an island that is a paradise in itself. Ses Illetes is so beauty that it looks it was taken from a movie. Caló des Mort :Also located in Formentera, you won’t believe that such beautiful spot has such an ugly name (“the dead man's creek”, in English). This beach is absolutely charming. 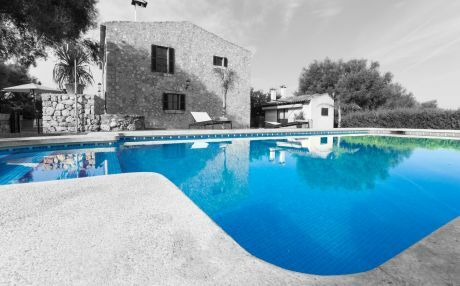 Whether you are traveling with friends or as a family, the ideal option is to rent a villa with private pool or a house or chalet that offers you the comforts of a home while in Balearic Islands on vacation, while having the freedom to enter and leave, to cook, to relax in the swimming pool: in short, all the comfort that offers an independent house. 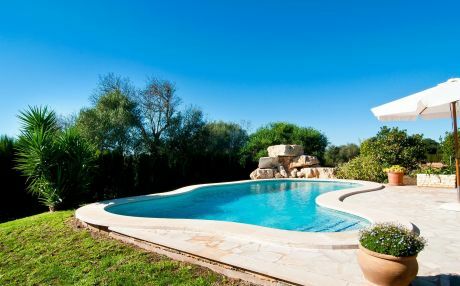 In the Balearic Islands there are several residential areas that holds a number of holiday homes, villas and chalets. 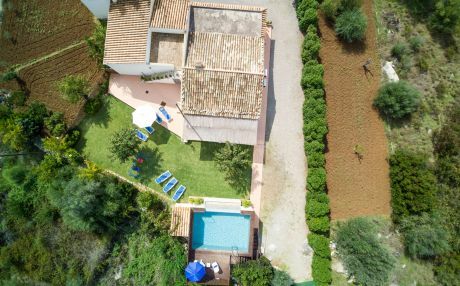 In our website you will find a lot of fantastic villas in the Balearic Islands where you can enjoy an unforgettable holiday with the whole family or friends.